Die Bilder von der Tchoukball-Europameisterschaft 2014 sind noch in guter Erinnerung. Dazu tragen auch die über 2000 offiziellen Fotos bei, die wir hier in einer Collage zum Logo der ETC 2014 montiert haben. Danke dafür allen Fotografen! Ab sofort sind all diese Fotos in der Flickr-Sammlung des Europäischen Tchoukball-Verbandes (ETBF) zu sehen. Die Verwendung ist in kostenlosen Publikationen bei Angabe der Quelle jederzeit möglich. Gerne stellen wir dafür auch hochaufgelöste Dateien ohne Wasserzeichen zur Verfügung. Anfragen bitte per E-Mail an photo-request@tchoukball.eu. The images of the FITB European Tchoukball Championships 2014 are still fresh in memory. 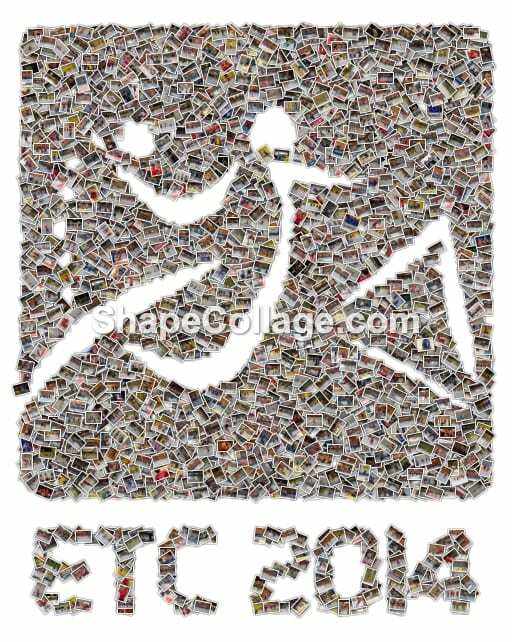 This is also thanks to the over 2000 official photos we have assembled here in a collage as the logo of the ETC 2014. A huge thank you to all photographers! From now on you can see all these photos in the Flickr collection of the European Tchoukball Federation (ETBF). The use is free of charge at any time in free publications when you give credit to the source. If needed, we would be happy for providing you even with high resolution files without watermarks. Please send your inquiry by email to photo-request@tchoukball.eu.